Printing blocks recipe for doctors and medical records Custom Printing Vittoria in Florence. Supply of printed for the medical profession and health care in Florence, printing medical prescriptions, medical history cards and medical records for healthcare companies, medical and analysis. 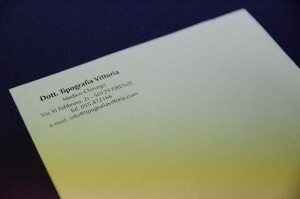 Typography Vittoria Florence boasts an experience of generations regard to the provision of printed aids medical profession. Elegant blocks for cookbooks, history functional cards personalized and useful medical records are always flagship products to Typography Vittoria in Florence. The multi-year partnership with renowned clinics clinical analyzes of the district of Florence has matured to our print shop a high degree of expertise regarding the printing products useful to the smooth flow of the medical profession and the services of clinical examinations, as well as raised awareness more and more to our typography measures that will preserve privacy in sensitive environments such as healthcare. folders for customized delivery of clinical and diagnostic.